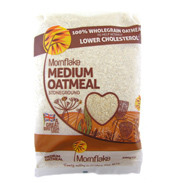 Breakfast Food/Cereals/Museli - Many different brands available. One being Whole Earth Foods. Whole Earth began as a little company with some big ideas about offering more natural, healthier food. Also Kallo. Say 'healthy food' today and the reaction of many is that it wont live up to their expectations of taste. This is where Kallo have concentrated their energy, putting emphasis on 'the tastier the better'.